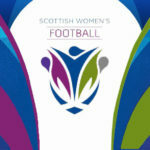 Hibs breezed past Spartans to secure their place in the SWPL Cup final with a comfortable win at Broadwood. The Hibees began brightly and had two chances to take the lead in the opening six minutes. Chelsea Cornet was first to go close, volleying wide from a corner before Kirsty Morrison was denied by Rachel Harrison with Rachael Small firing the rebound over the bar. Spartans though really should have taken the lead on eight minutes when good work from Zoe Johnstone set up a chance for Tegan Reynolds, but the midfielder’s shot came crashing off the bar. The opening goal came on 16 minutes when Spartans failed to clear a corner and Lauren Davidson bundled the ball over the line. Harrison in the Spartans goal was being kept busy by the Hibs players and had to be sharp to deny Siobhan Hunter’s header and another effort from Davidson. 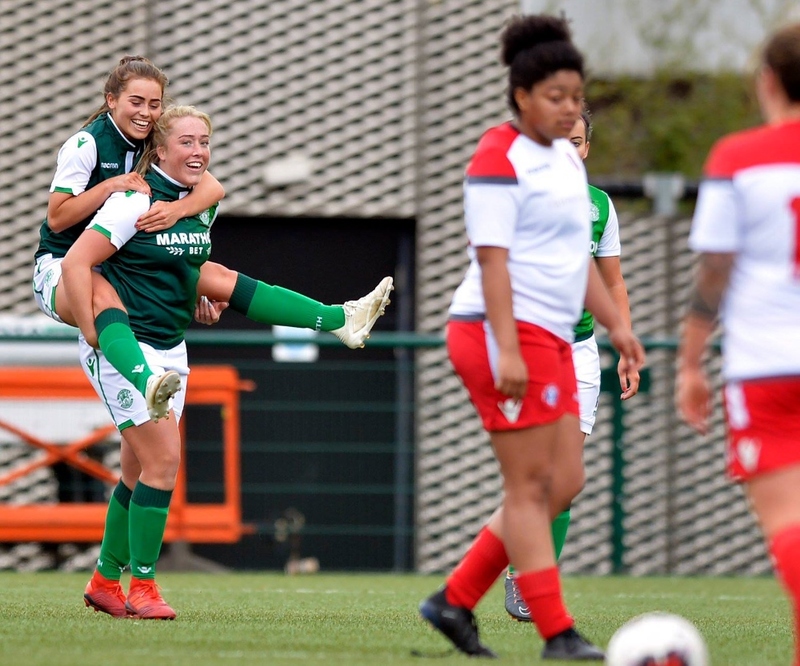 Hibs went even closer to a second just before the half hour mark when Kirsten Reilly’s shot was blocked by Harrison before it came back off the bar and was scrambled to safety. Cailin Michie was next to be thwarted by Harrison, the keeper reacting well to stop the full back’s effort. Spartans could have equalised just before the break but Kaela McDonald-Nguah couldn’t make clean contact with the ball from a corner and Jenna Fife managed to grab it at the second attempt. 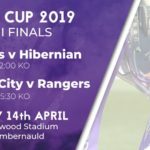 Hibs began the second half on the front foot and had two early chances to extend their lead with Jamie Lee-Napier volleying wide and substitute Amy Gallacher forcing Harrison into another save. They did score number two soon after however, Gallacher getting in behind and squaring to Napier who made no mistake from close range. That goal seemed to knock Spartans and it was Hibs who remained in control of the game and they added a third when Napier turned provider with Lia Tweedie sweeping the ball home. Tweedie was proving a nuisance after her introduction from the bench and could easily have had a hat-trick but Harrison denied her with two smart saves. 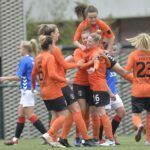 Spartans could have grabbed a late consolation but Johnstone couldn’t divert her header on target and it was Hibs who made it through to face Glasgow City on the 10th of May at Airdrieonians’ Pennycars Stadium.